Deposed King Shahdov (Charlie Chaplin) experiences America’s rampant materialism first-hand when he’s tricked by a beautiful advertising executive (Dawn Addams) into appearing on television. Later, while visiting a progressive school, Shahdov meets a young boy (Michael Chaplin) who stridently spouts Communist rhetoric; when Shahdov shelters the runaway boy (whose parents are under investigation by HUAC), he is suspected of Communist sympathies himself. Charlie Chaplin’s notorious critique of American materialism, media, and politics — filmed in London during his political exile — remains a bitter, occasionally spot-on, but rarely genuinely funny film. Chaplin is unrepentant in his skewering of our nation’s worst tendencies, satirizing topics as diverse as “reality T.V.” (years before it existed), progressive education, and Americans’ fascination with royalty; in this respect, he’s to be applauded. As a narrative, however, A King in New York doesn’t really satisfy; about midway through, once the plot becomes more serious in its attempt to nail the absurdity of McCarthyist witch-hunts, the overall tone of the picture becomes far too solemn and didactic. And while Chaplin’s son Michael is appropriately intense playing the son of martyred Rosenberg stand-ins, it’s painful to watch his performance during the school visit scene, when he can be seen silently mouthing Chaplin Sr.’s words whenever he’s not talking himself (no future actor, he). 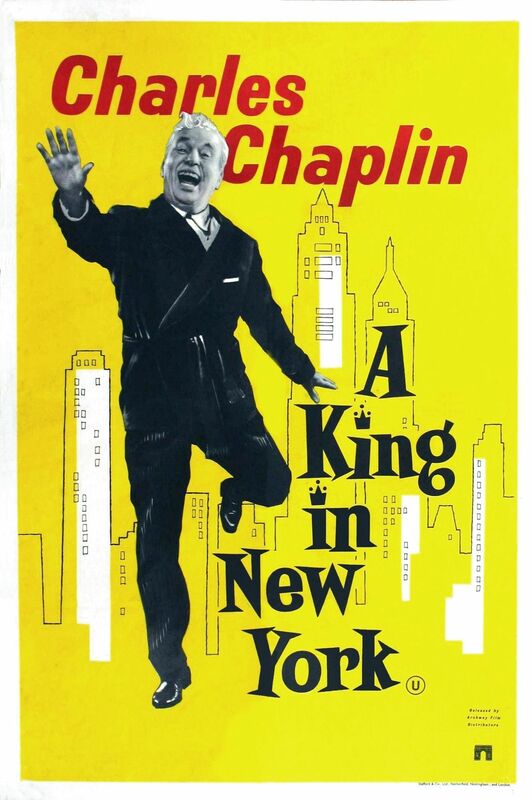 No, though film fanatics may want to be curious to check out this late-life entry in Chaplin’s career. Listed as a Cult Movie in the back of Peary’s book. Strangely uninvolving; agreed that most of the comedy in it doesn’t work; something lackluster and labored overall.